Members are invited to attend and to take part in (should they wish) our public rituals. 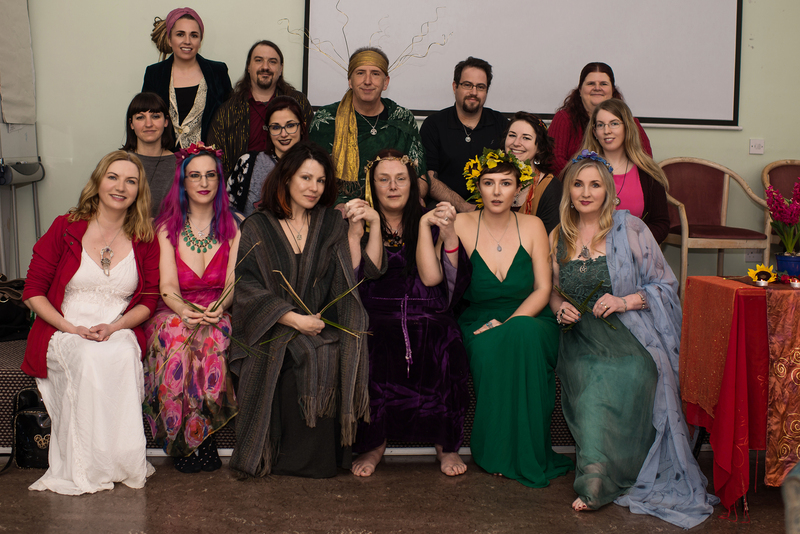 Becoming a member of Pagan Life Rites is free of charge and could not be easier. Simply complete the membership application form here. Following submission of your application you will be issued with a confirmation email confirming your membership and your details will be added to the mailing list for Pagan Life Rites. We promise we will not spam you, but will simply be sending you a quarterly newsletter with news of events occuring in the country highlighted and news of our own endeavours on your behalf. You may also receive a very occasional communication about campaigns we may be running with regard to Government policy that would have direct effect on you as a Pagan. Once a year at Samhain, you will be issued with a full length e-zine full of articles, poetry, stories, etc. to which we always welcome submissions. Just send email them to us and they will be included. Those interested in becoming a Clergy member must first join as a General member and have been an active member of Pagan Life Rites for at least two years. This would mean contributing to the work of Pagan Life Rites by of way regular attendance and participation in our open rituals, attendance of moots, and service to your local Pagan community. We do not offer Clergy membership to those residing outside of Ireland or Northern Ireland. Invitations to apply for clergy membership will be open from the Spring Equinox each year until the middle of June. Should you be interested in Clergy membership we invite you to submit your expression of interest by email to info@paganliferites.org, on receipt of which your application documents will be forwarded to you. Please be aware that this is not an application process to become a Legal Solemniser of Marriage. Candidates must serve in the role of Clergy Member for some time before being considered for nomination as a Legal Solemniser of Marriage. All applications for Clergy membership must be approved by the Board. Clergy membership is subject to a mandatory, but nominal, fee of €25 per year with the first payment due following the Board’s acceptance of an application. *The membership list of Pagan Life Rites is confidential and will not be shared or sold.